The son of Venezuelan President Nicolás Maduro has threatened to take over the White House with rifles. Nicolás Maduro Guerra made the comment on Saturday following President Donald Trump's statement that he would not rule out a U.S. military option in the South American country, CNN reports. "Venezuela is not very far away and the people are suffering, and they are dying. We have many options for Venezuela, including a possible military option if necessary," Trump told reporters in New Jersey. Since April, more than 120 people have died in anti-government protests that have turned violent as Venezuela's socialist economy has collapsed. 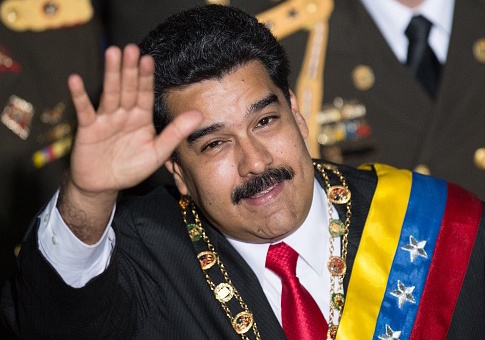 There are growing fears that Maduro's leadership has become increasingly authoritarian. President Maduro's son responded to Trump's remark with a threatening comment to state media regarding the White House, though he appeared unsure where the White House is located. "If the unlikely event of defiling the homeland came to pass, the rifles would arrive in New York," the younger Maduro said. "Mr. Trump, we would arrive and take the White House." The White House is in Washington, D.C., not New York. The United States has recently placed sanctions on Venezuela while the United Nations has condemned the nation's actions against protesters. The Pentagon said it is prepared to take action in Venezuela if necessary, but currently does not have plans to do so. This entry was posted in National Security and tagged New York, Nicolas Maduro, Venezuela, White House. Bookmark the permalink.